Shanghai is bursting with a ridiculous number of food vendors, and it’s not difficult to find the right foods to stock your pantry. They come in all forms – from street stalls selling roasted sweet potatoes to Carrefour superstores. Due to the density of Shanghai urban architecture, many shops and even, at times, larger establishments are tucked away or easily missed in some of the stimulating neighborhoods. 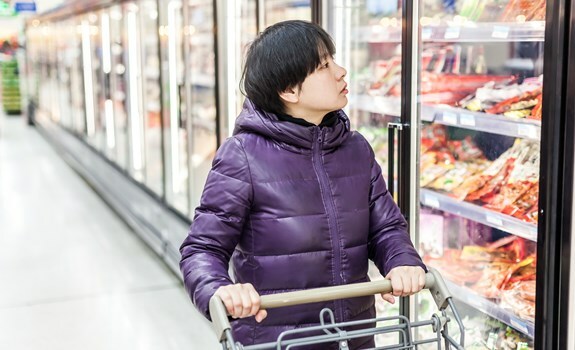 The city has developed fast in recent years and it is now easy to find western groceries and expat supermarkets in Shanghai. For bulk food shopping, there is plenty of choice. French megamarket Carrefour carries a huge variety of local and imported goods, all at reasonable prices. City Shop is a high-end supermarket specialising in imported foods. It also has one of the best selections of imported wine, beer and spirits. Newer entries into the market are Ole and city’super, generally located in the basements of new high-end shopping malls and with high-end prices to match, as well as British department store Marks and Spencer for those craving home comforts and well-priced wines. For daily shopping, get to know your local supermarket, as well as fruit and vegetable vendors. The local supermarket is the most convenient stop for toiletries, eggs, milk and all kinds of weird snacks. Local fruit stands offer fresh produce cultivated in the region. Getting to know your local vendors is a great way to eat fresh, healthy food, save money and practise your Chinese. Many entrepreneurial market vendors are now stocking Western foods at very competitive prices. The Tongchuan Lu Seafood Market is the city’s largest, with nearly 1,000 vendors selling everything the sea holds. Even if you don’t plan to stock up on hairy crabs or jellyfish, the experience alone warrants a visit. All of the large supermarket chains provide home delivery and often online ordering services, and there is a growing number of online services with a full range of fresh and imported products as well as pre-prepared meals. Fields (www.fieldschina.com), Epermarket (www.epermarket.com) and Kate & Kimi (www.kateandkimi.com) are popular choices with easy-to-navigate English language websites.